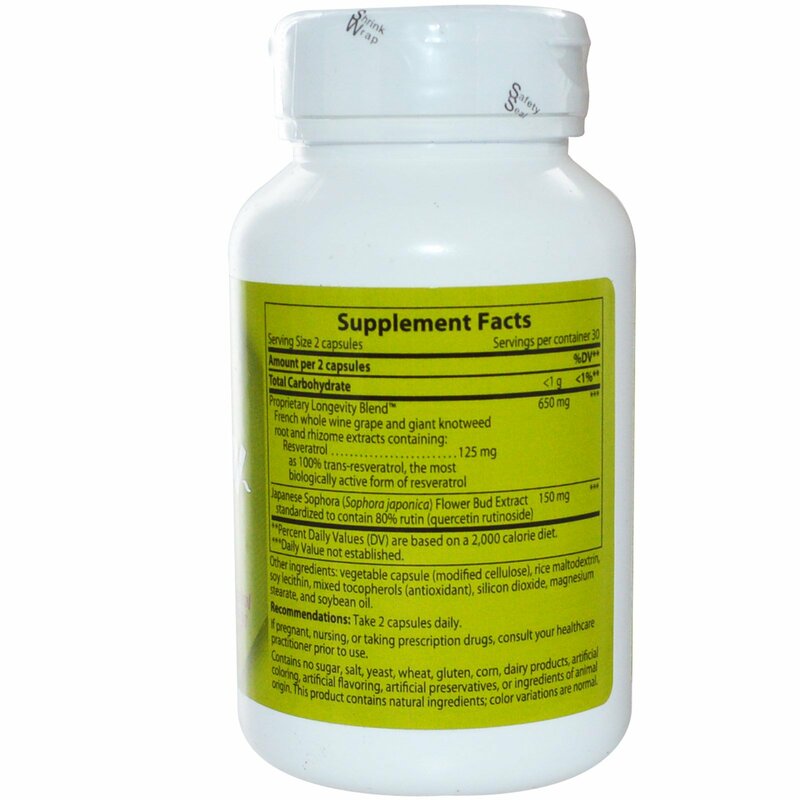 Synergistic formula providing superior anti-aging and immune health support! This comprehensive formula activates the longevity enzyme, boosts antioxidant levels and enhances heart health with 100% pure trans-resveratrol, the most absorbable form of resveratrol. 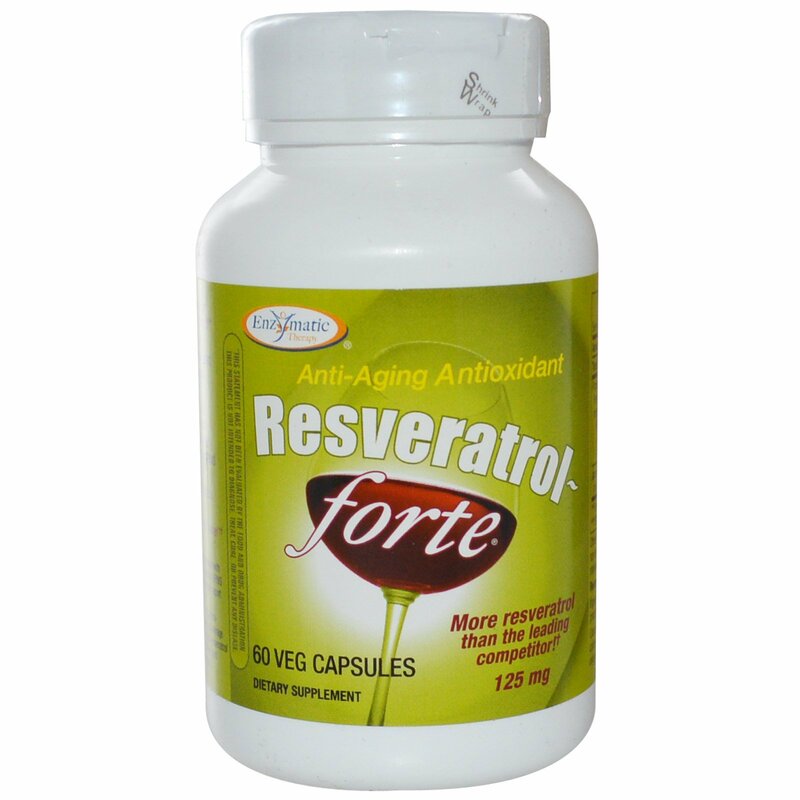 Resveratrol-forte uses specialized extraction and purification methods providing higher potency and stability. This unique combination of resveratrol and rutin (quercetin rutinoside) provides more anti-aging and immune support than resveratrol alone. Shield yourself from the aging effects of free radicals and oxidative stress with Resveratrol-forte! †Based on a comparison with the leading competitor SPINS Resveratrol Ingredient report data end 8-8-09. ††Based on 125 mg trans-resveratrol dose, an average of 1.97 mg of trans-resveratrol per liter of red wine, and 750 ml bottle size. Recommendations: Take 2 capsules daily. Vegetable capsule (modified cellulose), rice maltodextrin, soy lecithin, mixed tocopherols (antioxidant), silicon dioxide, magnesium stearate, and soybean oil. Contains no sugar, salt, yeast, wheat, gluten, corn, dairy products, artificial coloring, artificial flavoring, artificial preservatives, or ingredients of animal origin. This product contains natural ingredients; color variations are normal.